The University of California, San Diego (also referred to as UC San Diego or UCSD) is a public research university located in the La Jolla neighborhood of San Diego, California, in the United States. The university occupies 2,141 acres (866 ha) near the coast of the Pacific Ocean with the main campus resting on approximately 1,152 acres (466 ha). Established in 1960 near the pre-existing Scripps Institution of Oceanography, UC San Diego is the seventh oldest of the 10 University of California campuses and offers over 200 undergraduate and graduate degree programs, enrolling about 22,700 undergraduate and 6,300 graduate students. UC San Diego is one of America's Public Ivy universities, which recognizes top public research universities in the United States. UC San Diego is a highly regarded research institution, ranked 14th in the world by the Academic Ranking of World Universities, 19th in U.S. News & World Report 's 2016 global university rankings, 21st in the world by the Center for World University Rankings, 39th in the world by the Times Higher Education World University Rankings, and 44th overall in the world by QS World University Rankings. UC San Diego is also ranked 9th among public universities and 38th among all universities in the United States according to U.S. News & World Report. 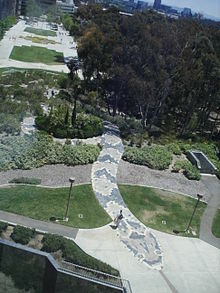 UC San Diego is organized into six undergraduate residential colleges (Revelle, Muir, Marshall, Warren, Roosevelt, and Sixth), three graduate schools (Jacobs School of Engineering, Rady School of Management and School of Global Policy and Strategy), and two professional medical schools (UC San Diego School of Medicine and Skaggs School of Pharmacy and Pharmaceutical Sciences) UC San Diego is also home to Scripps Institution of Oceanography, one of the first centers dedicated to ocean, earth and atmospheric science research and education. UC San Diego Health, the region's only academic health system, provides patient care, conducts medical research and educates future health care professionals. 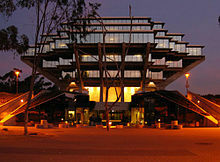 The university operates 19 organized research units (ORUs), including the Qualcomm Institute (a branch of the California Institute for Telecommunications and Information Technology), San Diego Supercomputer Center and the Kavli Institute for Brain and Mind, as well as eight School of Medicine research units, six research centers at Scripps Institution of Oceanography and two multi-campus initiatives, including the Institute on Global Conflict and Cooperation. UC San Diego is also closely affiliated with several regional research centers, such as the Salk Institute, the Sanford Burnham Prebys Medical Discovery Institute, the Sanford Consortium for Regenerative Medicine, and the Scripps Research Institute. According to the National Science Foundation, UC San Diego spent $1.067 billion on research and development in fiscal year 2015, ranking it 6th in the nation. UC San Diego faculty, researchers, and alumni have won twenty Nobel Prizes, eight National Medals of Science, eight MacArthur Fellowships, two Pulitzer Prizes, and three Fields medals. Additionally, of the current faculty, 29 have been elected to the National Academy of Engineering, 70 to the National Academy of Sciences, 45 to the Institute of Medicine and 110 to the American Academy of Arts and Sciences. What are the academic rankings for University of California-San Diego? 1. number 26 for Academics. 2. number 70 for ROI (Return on Investment). 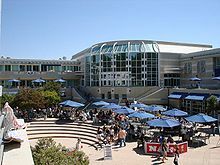 What universities are similar to University of California-San Diego?